We live a time when technology marks our day by day and, of course, it accompanies on our hunting expeditions too. Nowadays there are many devices that allow us to capture the moment of the chase, either in a small compact camera or on our mobile phone. But despite all these advantages, hunters and fishermen like to mount their trophies, confirming their respect and appreciation of the captured animal. We are talking about an ancient craft that has developed over the centuries to the perfect representation of the animal, obtaining a full sense of movement and life through the modeling and naturalization. Cinegetica is aware of the importance of preserving the trophy. 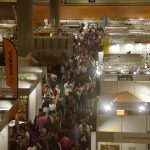 So, once again, the fair will feature a large exhibition of great worldwide taxidermists such as: Artax Masedo, Espetón, Jorge Horacio Varela, Taxidermia Garoz, Taxidermia Miguel Ruiz, Hunt Masters Caza y Taxidermia C.B. and Taxtrophy. The visitors of the sho w will enjoy the impressive display of taxidermy transplanted from the Wild Fauna Museum, from Dr. Romero Nieto Foundation. 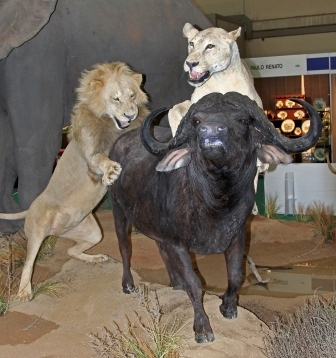 At the same time, they will admire the exhibition of magnificent specimens at the stand of the National Board for Certification of Hunting Trophies or contemplate the Cinegética Awards. Therefore CINEGETICA becomes again the best place to learn about the work of the main taxidermists and take advantage of the best offers that will take place on Hall 12 of IFEMA, from 17th to 20th of March of 2016.